It was just the Melee, which was incredible. Now all of a sudden it it August. Not sure how it speeds by so quickly, but it does. 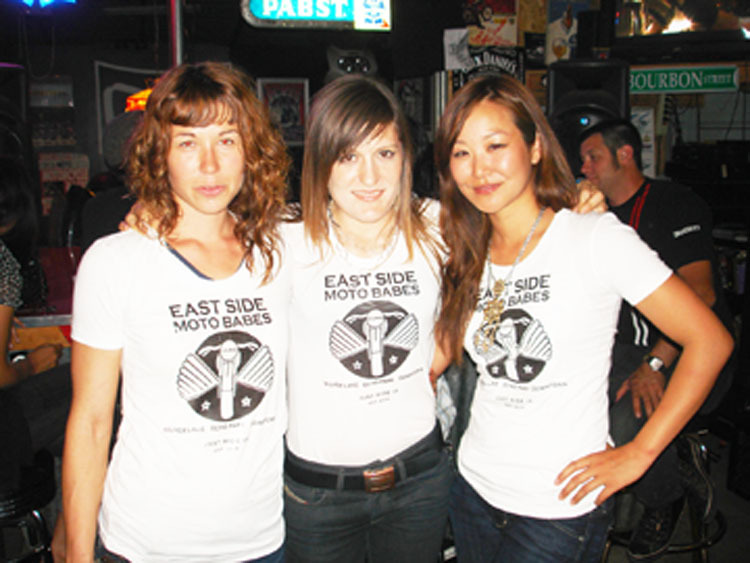 East Side Moto Babes is growing. We are now 5 proud members. MotArt just did a great piece on Stacie B. and the East Side Moto Babes. Thanks to Frank at MOTart for the attention. so please check the blog regularly or become a fan on facebook where we are always posting. Hope you are enjoying yours too.